Since its debut in 2009, FOX’s Glee has been firmly committed to supporting and promoting music education in schools. Glee continues to give back with the celebration of their 500th musical performance, an exhilarating rendition of “Shout,” originally featured in the classic comedy Animal House. In honor of this monumental achievement, Columbia Records and Twentieth Century Fox Television will give 100% of their net proceeds from U.S. downloads of the single “Shout” starting March 5th through the end of the season to the Give A Note Foundation. Glee is proud to work alongside this foundation, which serves to expand and increase music education opportunities for all children. For more information, click here. 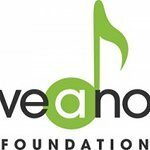 Glee and Give A Note Foundation have previously joined forces and created the campaign GLEE Give A Note. Together a donation of $1 million to save struggling music programs was awarded to 73 winning schools nationwide. Glee has also collaborated with American Express by hosting an unprecedented charity event to benefit Education Through Music Inc. In 2009, a portion of the proceeds from downloads of Glee’s rendition of “Last Christmas” was donated to GRAMMY Foundation to aid its GRAMMY In The Schools education programs. Glee also contributed 100% of net monies from the sales of their version of “Do They Know It’s Christmas” in 2011 to The Band Aid Trust. Glee’s 500th musical performance will air in an all-new episode, “Girls (And Boys) On Film,” on Thursday, March 7 at special time 9:30-10:30PM ET/PT on FOX. In this episode, the glee club is assigned to perform their favorite songs from a movie. Along with “Shout,” the episode will feature “Footloose” from Footloose, “Come What May” from Moulin Rouge and “Unchained Melody” from Ghost. Meanwhile, in New York, Santana makes herself at home in the loft a little too quickly for Rachel and Kurt’s comfort. From their anthem hit “Don’t Stop Believin’” to the pop phenomenon “Teenage Dream” to the heartfelt performance “It’s Time,” Glee has more than 50 million downloads and the most titles on the Billboard Hot 100 chart. To date, Glee has sold over 13 million albums worldwide. Glee scored three consecutive #1 releases with Glee: The Music, The Power of Madonna, Glee: The Music, Volume 3 Showstoppers, and Glee: The Music, Journey To Regionals. The RIAA has certified Glee: The Music, Volume 1 and Glee: The Music, The Christmas Album Platinum (sales in excess of 1 million units) as well as Glee: The Music, Volume 2, Glee: The Music, Volume 3 and Glee: The Music, Volume 4 Gold (sales in excess of 500,000 units).